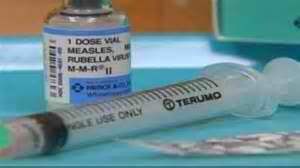 Twenty one people are infected this week by measles in Texas. The number of victims still growing, one of them is a 4-month-old child, according to state health authority, reported by The Examiner this Monday, August 26. According to The Examiner report that "the Texas measles outbreak seems to have a link to a megachurch in Texas. It is known that the ministers of this church — a majority of the victims have ties to the place of worship — have publicly questioned the effectiveness of vaccination. " The Eagle Mountain International Church in Newark is said to be the source of the measles, according to report. Health authorities are now encouraging those who are not immunized to go to their local doctors immediately and get vaccinated for the measles. Meanwhile, The Eagle Mountain International Church statement said, "We continue to follow up on pending and confirmed cases to help in any way we can to keep the outbreak contained … We ask that others join us in prayers over this outbreak." Thank you for reading this post, If you like this details, please bookmark it now or visit this site more often for you to be updated. You may also share this post to your friends so they may know about Measles outbreak in Texas. Comments or suggestions about "Measles outbreak in Texas, 21 people are infected | Measles cases linked to megachurch" is important to us, you may share it by using the comment box below.